We are pleased to announce that our applications for 2018 trainee intake are now open. Please see our Careers Page and our Trainee Solicitors Page for more information. Our primary focus is business law in Asia. We provide legal advice and representation in the following areas: Corporate and Commercial; Litigation and Dispute Resolution; Insolvency and Restructuring; Employment; Immigration; Family and Private Client; Wills and Trusts; Financial Services Regulatory; Hospitality including Liquor Licensing; White Collar Crime and Criminal. Our relationships with law firms in other jurisdictions enable Tanner De Witt to provide legal support in many countries including China. 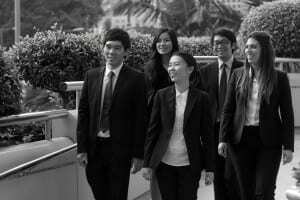 We are a multilingual law firm with many international clients based in Hong Kong and overseas. While we primarily operate in English, our team members speak many Asian and European languages including Cantonese, Dutch, French, German, Hindi, Hokkien, Italian, Japanese, Mandarin, Nepalese, Punjabi, Shanghainese, Spanish, Tagalog and Urdu. While Tanner De Witt is one of the largest independent law firms in Hong Kong, we have a low Partner-Lawyer ratio ensuring clients receive legal advice based on our many years of experience. For clients who prefer to resolve disputes with as little contention as possible, we can offer Mediation services through our accredited mediators Ian De Witt and Mark Side. Tanner De Witt provides insightful, practical and commercial legal advice with discretion and sensitivity to our clients’ needs and preferences. Our lawyers always work closely with clients, engineering options to reach goals by way of an agreed method at competitive rates. Please refer to Our diversity statement.